Only four matches this session in the Masters Event with Ireland’s European Team Champion Anthony Bonnar (pictured above) surviving a close call against Krzysztof Kubicki eventually getting over the line 3-2. Bonnar took the first frame but lost the next two convincingly to go 2-1 behind. The Irishman dug deep however and took the last two frames comfortably to take the win. Also in Group E Allan Norvark had a comfortable 3-0 victory over Ygal Pagliari. Group C saw Germany’s Thomas Damm record a good 3-2 win over Ebrahim Baghi with both players scoring well in what was a very close fought match. In another match that went to the wire Israel’s Doran Lavie defeated Michael Eheim by three frames to two. The second session of the 2013 European Championships saw 19 year old Ryhs Clark record a comfortable 4-1 victory over 16 year Pawel Rogoza. Ryhs took the first three frames only for Pawel to claw one frame back before finishing off in style with a superb 98 break. Also in Group D Austria’s Paul Schopf defeated another Croatian Sasa Novak by four frames to one with a highest effort of 51 in the third frame. Sascha Lippe will be another one to watch in this group and the experienced German saw off 16 year old Andres Petrov by the same scoreline with a high run of 56 along the way. Group B had only one game this session as Bratislav Krastev from Bulgaria had a solid 4-0 over win over Poland’s Maciej Relich. 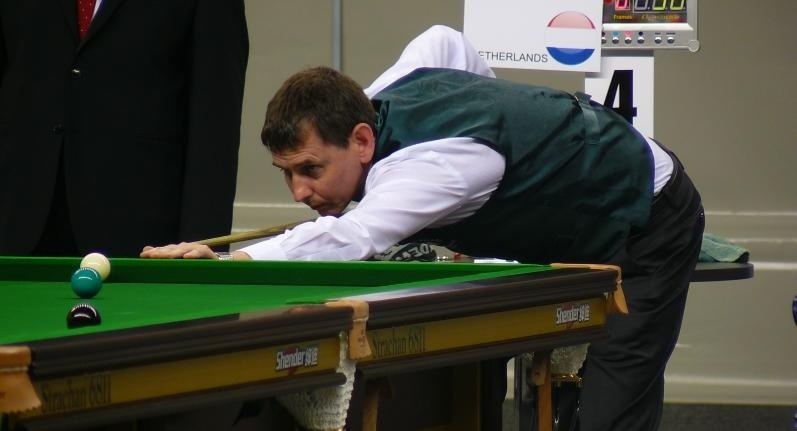 England’s Jeff Cundy starter his event with a comfortable 4-0 win over Belarus’s Andrej Khudobin in Group C and was joined with a 4-0 opening win by Holland’s Maurice Le Duc wo saw off Croatia’s Bruno Repanic. The thrid game in this group saw Israel’s Tom Limor produce a great win over Poland’s own Krzysztof Wrobel by four frame to two. Russia’s Irina Gorbataya and Daria Sirotina both recorded comfortable wins in the Ladies section with Irina seeing off Izabela Morska 3-0 and Daria defeating young 12 year old Natatlia Novak 3-0 with the help of a run of 54 in the final frame. 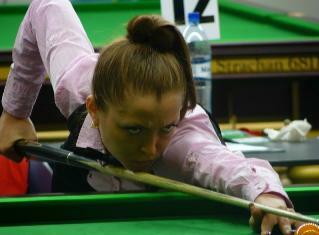 The only other Ladies match played in the session saw 15 year old Yana Shut beat Claudia Weber 3-1 in group C.